Sebastian is a fabulous host and nothing was too much trouble. His apartment is fantastic - really well equipped and comfortable and only 10mins walk from the old town. Terrific location just on the outside of old town. 10 min walk max to St John gate entrance. Inside of the apartment was so sweet 3 nice double bed rooms and very comfortable kitchen and living room area. The absolute best part however was the hospitality of the host Sebastian and his wife. Amazing people who really took care not only in our experience at their apartment but in our experience of Rhodes as well. Can’t thank them enough. They are outstanding people. Everything. Dont going to write down all the things. So you just have to see that by your own eyes. My was pleasured. Very comfortable stay with good and calm location also the landlord Sebastian is really cool guy. Hi Sebastian. Thank you and see you soon. It was everything we wanted it to be for our group of 4 people. Short walk to the old town. Convenient supermarket nearby. Parking on road outside. Sebastian ensured it was well stocked with various items you might have forgotten to bring. Excellent location. The property is decorated with excellent taste, all modern amenities. Our host Sebastion was just perfect. Very friendly, helpful and knowledgable. The house was super cozy and located in a quiet neighbourhood, so close to the old town and you can find everything that you need around, supermarket, bakery, cafes etc. The house was fully equipped. All facilities and essentials were provided. It was so clean and comfy as we felt exactly like home. Special thanks to Sebastian. He was literally an amazing host. He was very helpful and caring during the stay. He always made sure that we have a great time in the house and also outside the house. He made our stay in Rhodes wonderful and unforgettable. 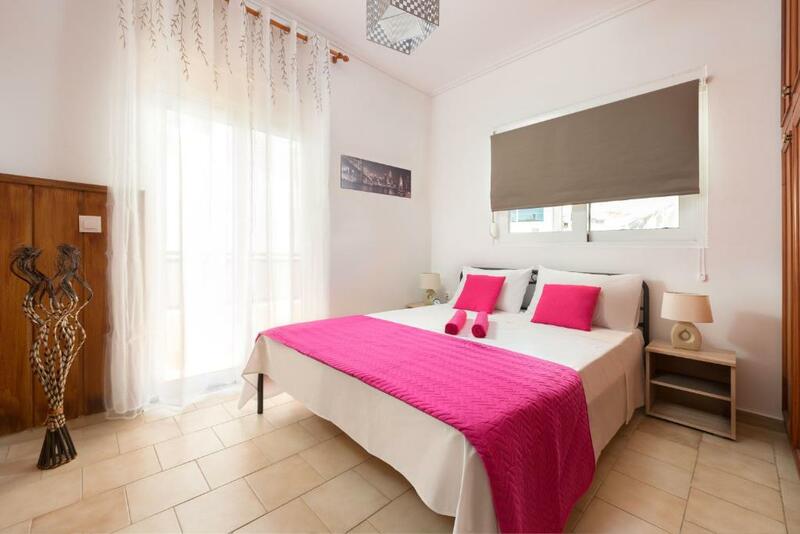 Lock in a great price for Sebastian's Amazing Apartment Rhodes Town – rated 9.7 by recent guests! One of our best sellers in Rhodes! Located in Rhodes, a 17-minute walk from Clock Tower, 1.3 miles from Grand Master's Palace and 1.3 miles from The Street of Knights, Sebastian's Amazing Apartment Rhodes Town has accommodations with a balcony and free WiFi. The property is 1.4 miles from Mandraki Port. This air-conditioned 3-bedroom apartment comes with a kitchen, a seating area, and a satellite flat-screen TV and Blu-ray player. The apartment has a sun terrace. A car rental service is available at Sebastian's Amazing Apartment Rhodes Town. Temple of Apollon is 1.5 miles from the accommodation, while Deer Statues is 1.8 miles from the property. 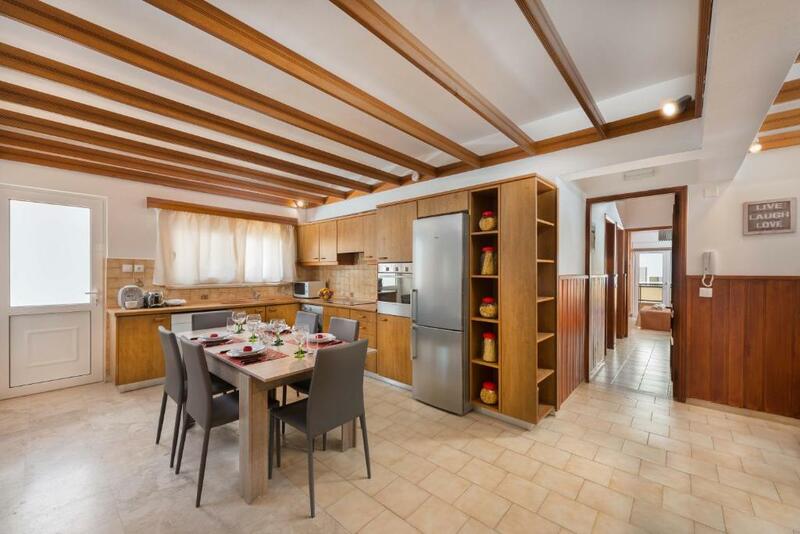 The nearest airport is Diagoras Airport, 9 miles from the property. 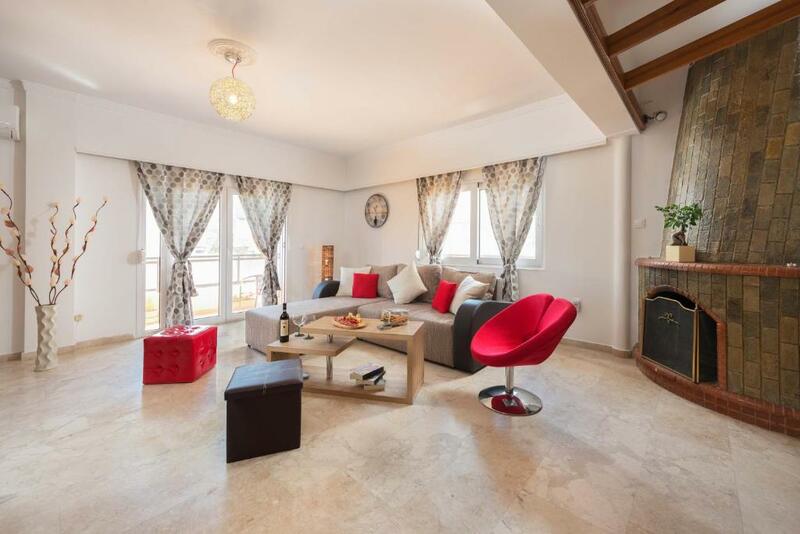 When would you like to stay at Sebastian's Amazing Apartment Rhodes Town? This apartment has a seating area, satellite TV and fireplace. 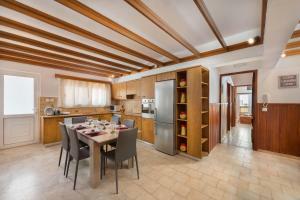 Sebastian's Amazing apartment is a renovated house in the center of Rhodes city. In a peaceful neighbor and within walking distance from super markets, bakery shops, coffee shops, bus/taxi station and less than 10-15 min walk to city center and the famous Old \Towns. 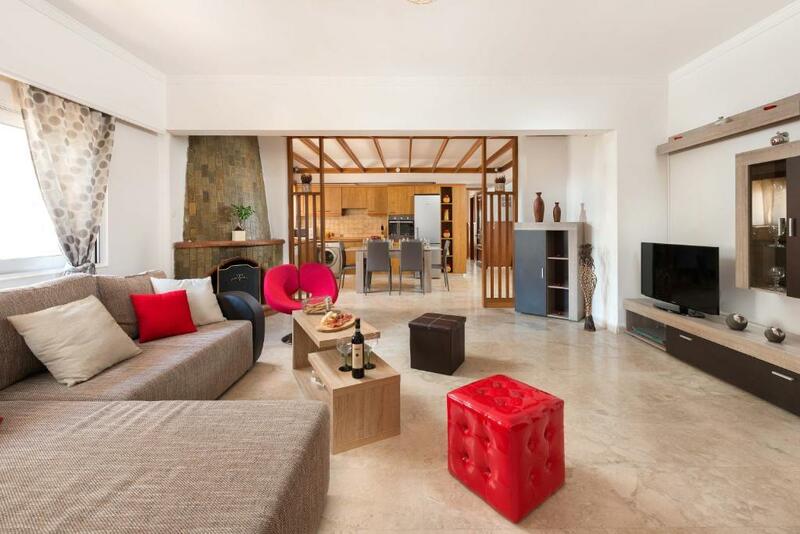 Sleeps up to 8, with 3 bedrooms, with an amazing open plan living and kitchen area. The house of 120 sqm is located on the 1st floor and there are 3 separate bedrooms with large wall draws and an amazing family bathroom. Every room has its own veranda overlooking the peaceful neighborhood. The living room is very comfortable for 8, with a plasma satellite TV, high speed Wi-Fi coverage to every part of the property. The kitchen is fully equipped with a separate dining area and all the necessary equipment of a fully equipped kitchen including washing machine, dishwasher, coffee & tea facilities and of course all the courtesies and electric appliance needed. The second living area by the kitchen consists of a double sofa bed which can accommodate another two adults, 8 in total. We offer all the linen, towels and bed covers double the amount for each person so you will miss nothing. I am Sebastian coming from a multi international family (Greek and Dutch) born and raised in the beautiful island of Rhodes. I have studied hospitality managemet in The Netherlands and in Miami of USA. I am involved in the hospitality industry the last 20 years and have always worked in the tourism sector. It is my pleasure to interact with people from all over the world. Through my professional experience and my traveling I have gained experience from different cultures all over the globe. Being your host is a challenge for me as my aim is to prove to my guests that Greek people are hospitable and professionals in what they do with passion and caring. It is our pleasure to rent out our property and it is our honour to share our knowledge and information for Rhodes with our guests. We are always available for our guests at anytime and for anything you might need, we will always meet you in person when you arrive and welcome you. We are thrilled to assist you make your stay on our island and our property amazing and unforgettable. Looking forward to meet you in person!!!! 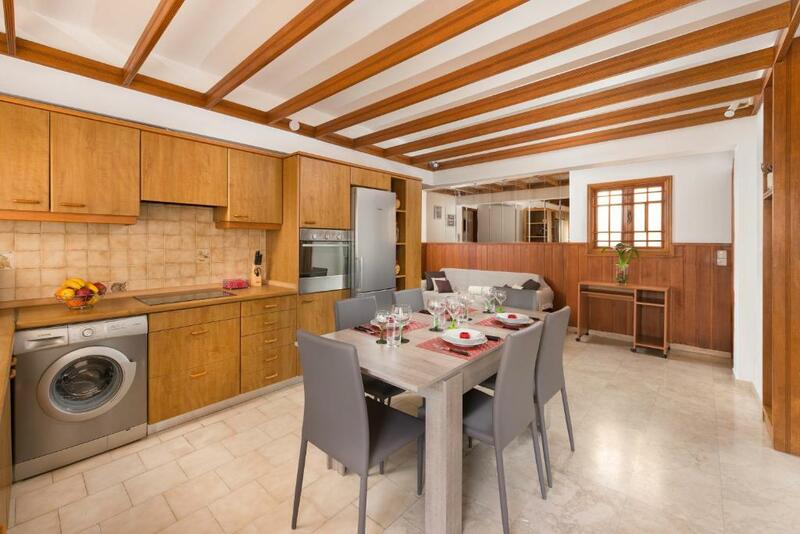 The location is ideal for those who seek city holidays, a traditional Rhodian neighborhood, close to the old town and to Rhodes center (10-15 min walk) as well as to famous Elli and Zefyros beach. The bus station is less than 2 min walk with every 30 min buses going to the central bus station, taxi station 2-3 min walk. Of course any kind of help will be offered to you by us personally. So please feel comfortable and relaxed because we will try to make your stay memorable. Away from downtown crowds and noise, yet within only a few minutes' walk, you have everything you will need. This is a typical quiet Rhodian neighbourhood, with all types of big and small shops for your needs: supermarkets, restaurants, bakery and pastry shops, coffee shops, banks, pharmacy are all within from 1 to 5 min walk. It is a 10-15 min walk to the old town and to Rhodes centre. There is plenty of free public parking space infront of the house and within the neighborhood area. Its very easy to get a taxi to everywhere. You can also get the bus to the city or towards all the beaches across the island. The bus station is only 50 meters away from the apartment. Enjoy a comfortable stay. House Rules Sebastian's Amazing Apartment Rhodes Town takes special requests – add in the next step! Please inform Sebastian's Amazing Apartment Rhodes Town of your expected arrival time in advance. You can use the Special Requests box when booking, or contact the property directly using the contact details in your confirmation. There was not a thing we did not like about the apartment. It was perfect..
We were met by our friendly host and Sebastian stayed in touchthrough the week to make sure we had everything we needed. He could not have been more helpful. 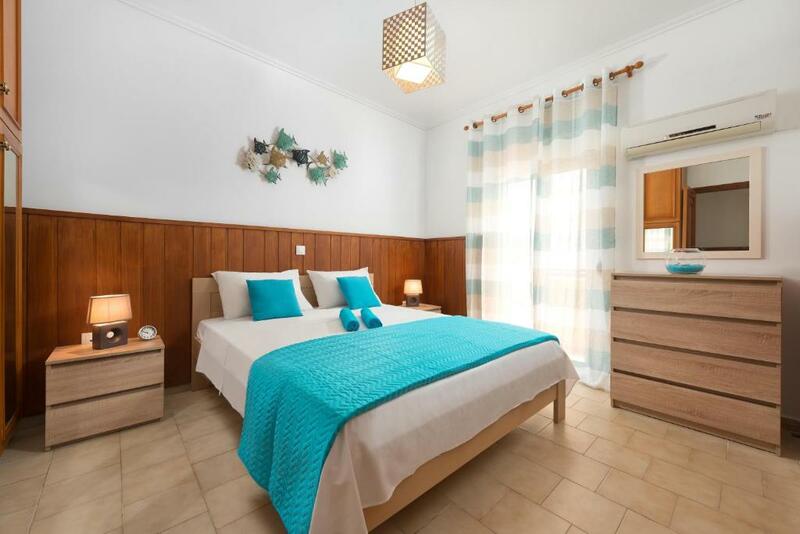 The apartment is superbly located with parking outside and a local restaurant and supermarket within a few minutes walk. The old town and harbour witb their dhops resraursnts and attractions were only 20-25 minutes away on foot so a great location to explore Rhodes and further with the island ferry from the habour. Bed mattrices of the two rooms facing the other side of the property were either too hard or springly. But this may be personal preference. Host is super responsive and helpful. Comfortable, extra spacious property which had all essentials. So close to everything like the old city, a big supermarket and a nice bakery. Well equipped. 15 minutes walk to the old city. 2 minutes from the bus station and a big supermarket. Very quiet neighborhood.